The popup has been upgraded to let you flexibly choose both who Invoices & Quotes are sent from in your team, and the person they are sent to. 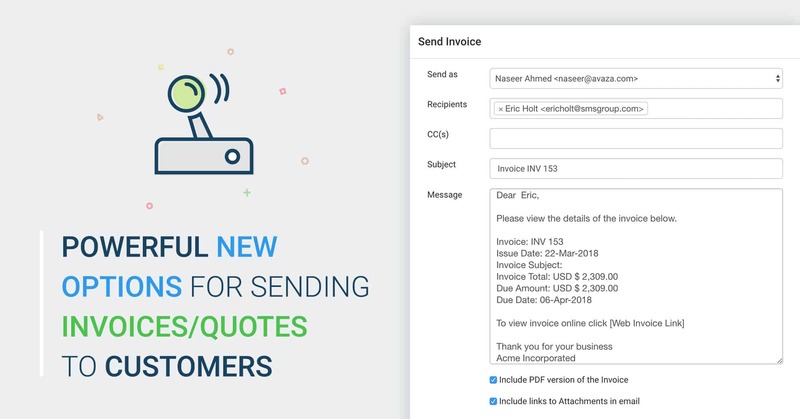 You can choose any team member with Admin or Invoice Manager role on the Send As dropdown to send the Invoice/Quote from, such as “finances@avaza.com”. 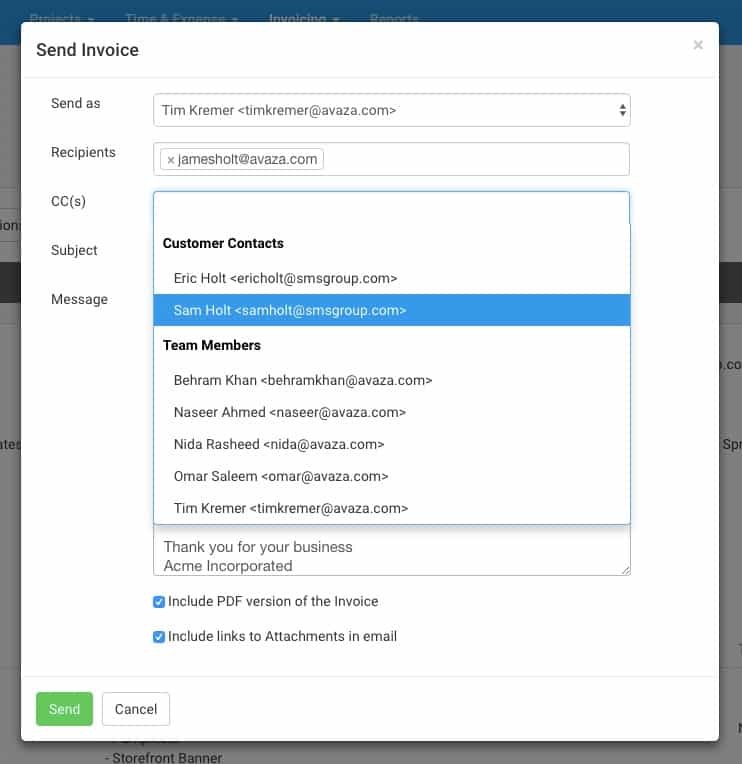 Centralize the email address where client responses to Invoices / Quotes are received! In addition to being able to select existing customer contacts and the logged-in user as recipients, you can now type in any valid email address in the Recipient(s) and CC(s) fields. Figure: Type-in any Valid Email Address, or Choose from the Dropdown. Hopefully, these changes, along with some additions such as being able to personalize Invoices/Quotes and tracking email and online views will make your experience more productive. I hope you can include the digital signature next. Thank you for these new options. 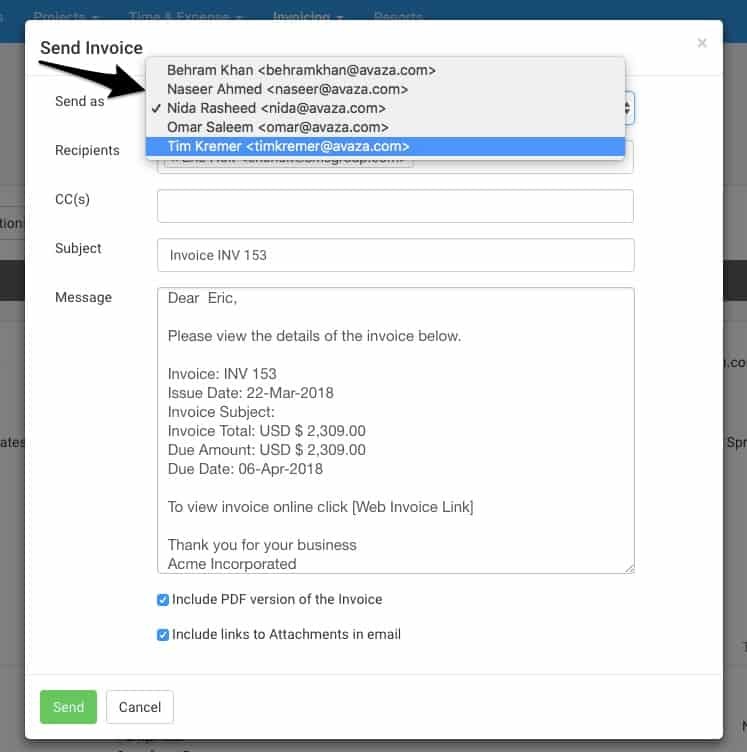 Maybe next an option to include an attachment (other than invoice)? Thank you.